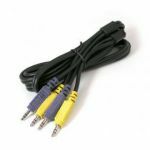 The Sony/Philips Digital Interface is the “red book” standard for digital audio signal transfer. 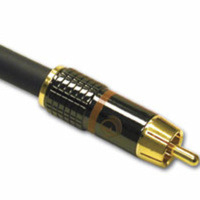 S/PDIF coaxial cables can carry linear PCM or multi-channel Dolby AC-3/DTS digital content. 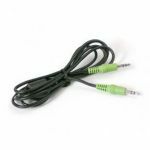 SonicWave™ Digital Audio Interconnects by Impact Acoustics™ by Cables To Go™ feature proper characteristic impedance, fast frequency-independent signal propagation and effective shielding against RFI and EMI. 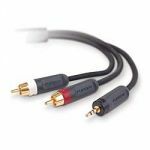 Impact Acoustics SonicWave S/PDIF interconnects use smooth, flawless, large cross-section silver-plated OFC as the signal conductor. A nitrogen-foamed PE insulation exhibits extremely low dielectric constant. Cu Shielding Technology™ provides three layers of shielding: two 80%+ OFC copper braids and one 100% overlapped Mylar® foil. 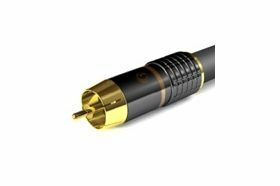 Precision design and manufacturing ensures the characteristic impedance of the cable assembly remains 75 ohms, +/- 5 ohms. 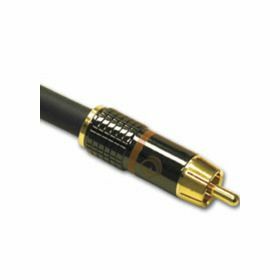 This high performance S/PDIF digital cable is also ideal as a world-class composite video cable for especially demanding video applications!